Beautiful and bright side split in desirable Bayridge area close to schools, parks shopping and all west end amenities. Large foyer, open living/dining with hardwood floors, updated kitchen with new cabinets and counters w/raised breakfast bar and access to rear concrete patio. Main floor sunken family room with fireplace. 3 bedrooms all with newer laminate flooring and large updated 4-piece bathroom. Finished lower level with rec room, 3-piece bathroom and laundry room plus lots of great storage. Main and upper windows all new in 2014. Fully fenced rear yard with shed and 6 appliances included! 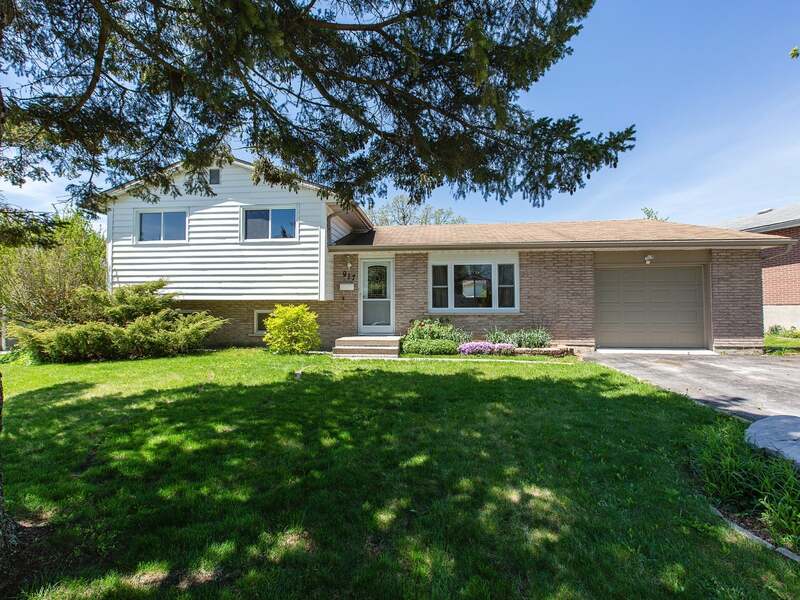 Attached garage with opener and double wide paved driveway with curbs. Great value, this property won’t last long. Call to schedule your private viewing! Floor Area 1,223 Sq. Ft. Lot Size 76 x 120 Sq. Ft.